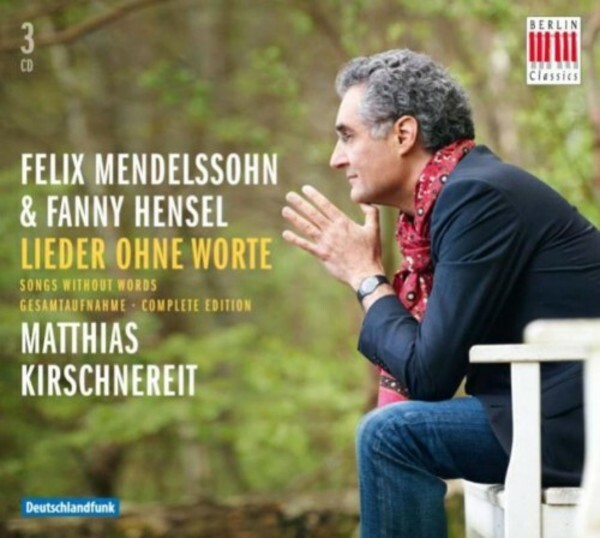 Berlin Classics now opens the 'ninth volume', with six unpublished pieces that Matthias Kirschnereit has compiled for this complete edition of all the 'Songs without Words' composed by both Felix and Fanny Mendelssohn. "Felix has given me three things: a piece in my family album, a 'Song without Words' such as he has written a number of so beautifully in recent times, another piano piece (...) and a large work for four choirs." Mendelssohn's elder sister Fanny wrote this in late 1828 to Carl Klingemann, a London diplomat friend of the Mendelssohn family. The 'Song without Words' she refers to is the one marked 'Espressivo & Allegro' which Felix dedicated to her for her twenty-third birthday on November 14, 1828, and which is not included in any of the eight published volumes. It now opens the 'ninth volume'. The piece that gives its name to this new solo piano genre was later published as op.19[b] no.4 and was initially just called 'A Song'. It was written on September 14, 1829, during Mendelssohn's first visit to England (from April to December) and is dedicated to Sophia Louise Dance, the youngest daughter of the English musician William Dance. Bearing in mind that Mendelssohn was ten when he wrote his first surviving composition in late 1819, his production of over fifty 'Songs without Words' accompanied him for the two decades between 1828 and his death in 1847, which is more than half of his creative period. Fanny Hensel and Felix Mendelssohn developed a new piano genre - the opposite of speechlessness in music.